16 Gauge, Galvanized Steel. 5,000/Box. Price/box. 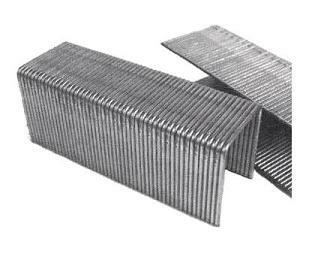 P-21 STAPLE, 2 INCH LEG x 1 INCH CROWN 16 GAUGE GALVANIZED STAPLE, SENCO TYPE, P-SERIES. 10,000/BOX. PRICE/BOX.